IDF Military Advocate General releases findings on use of Hannibal Protocol to rescue Hadar Goldin when Hamas violated a ceasefire. The IDF Military Advocate General (the MAG), Major General Sharon Afek, on Wednesday released additional information regarding the examination and investigation of exceptional incidents that allegedly occurred during the 2014 Gaza Conflict, including the fighting in Rafah on August 1st, 2014. The events of the fighting in Rafah were examined thoroughly and professionally by the General Staff Fact-Finding Assessment Mechanism (FFA Mechanism). Following a comprehensive examination of the findings, the MAG ruled that a criminal investigation is not warranted into the incidents that occurred during the fighting. The fighting in Rafah was examined by three teams of the FFA Mechanism, each comprised of experts in the relevant military disciplines (including intelligence, infantry, armored forces, artillery, and aerial firepower), each headed by a reserve-duty officer at the rank of Brigadier General. During the examination, hundreds of documents, videos, radio recordings and intelligence materials were gathered, and various steps were taken with the aim of examining every aspect concerning the fighting in its entirety, as well as concerning individual incidents therein. This process allowed for obtaining a comprehensive understanding of the fighting, the orders that were given, the actions of the forces and the incidents that occurred therein. The findings clearly provide that the IDF's actions were aimed to serve a clear military purpose – to thwart the abduction of Lieutenant Hadar Goldin and attack the terror organizations in the area, by targeting military targets and military operatives. The IDF forces' assessment at the time was that Lieutenant Goldin was still alive. The ground operation and the use of force during the fighting were conducted in accordance with operational considerations and with an effort to mitigate, as much as possible, harm to civilians. No grounds were found to support the allegation that the objective of the IDF's actions were to extract revenge following the abduction of Lieutenant Goldin. In addition, no basis was found for the allegation that the implementation of the General Staff Directive for Contending with Abduction Attempts (also known at the time as the "Hannibal" Directive, and since replaced by a different directive) lead to the use of force in a disproportionate or unrestrained manner. The findings provide that, in the aftermath of Hamas' violation of the ceasefire and the killing of Major Benaya Sarel, Staff Sergeant Liel Gidoni, and the abduction of Lieutenant Goldin, combat in the area resumed and fighting developed, which entailed the incursion of a large number of ground forces and high-intensity hostilities. 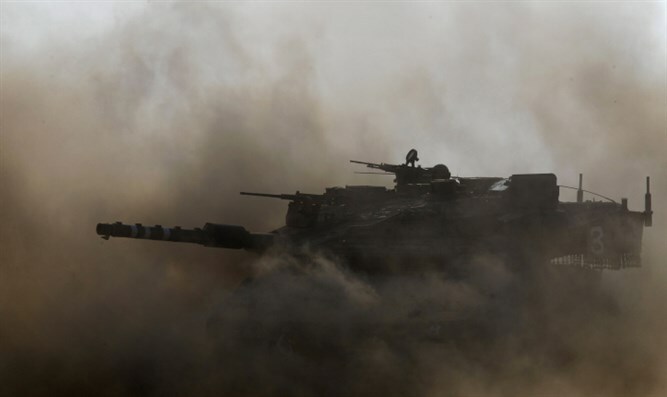 The fighting also included attacks to support and protect the maneuvering ground forces, as well as artillery, mortar, and aerial attacks on the Palestinian terror organizations' military operatives and military infrastructure in the Rafah area. In the course of the fighting IDF troops killed at least 42 military operatives of the Palestinian Arab terror organizations. Additionally, after examining all of the allegations raised, it appears that up to 70 civilians were unintentionally killed as a result of attacks directed at military targets and military operatives. All allegations regarding incidents in the course of the fighting in which civilians were allegedly harmed were thoroughly and professionally examined. The examination of these incidents did not give rise to a suspicion of criminal misconduct warranting a criminal investigation. The attached document includes information regarding the MAG's decision with regards to some of these incidents. In the MAG's decision, the MAG issued some institutional and operational lessons-learned that came out of the examination's findings (such as recommendations regarding the employment of firepower and the operation of dedicated ‘Attack Cells’, and the expansion of documentation of operational activities). A significant part of these recommendations were provided to the command echelons during the examination, and have already been implemented. In the attached document, further information has been cleared for publication regarding the MAG's decisions on additional alleged exceptional incidents that occurred during Operation 'Protective Edge' and regarding which allegations arose concerning the IDF’s conduct. With regards to each of these incidents, the MAG has released a summary of the incident and of his decision. As previously published, the MAG Corps received complaints and information with regards to approximately 360 exceptional incidents that allegedly occurred during the 2014 Gaza Conflict. Over the past few years, these incidents have been examined thoroughly, whether through criminal investigations conducted by the Military Police Criminal Investigative Unit for Operational Affairs, or through the FFA Mechanism. Decisions regarding some of these incidents can be found in previous updates and in the attached document. The examinations of the remaining incidents are in advanced stages. Of the 31 criminal investigations (24 that were opened immediately, and an additional seven that were opened following examination by the FFA Mechanism), the processes regarding two investigations have not been completed. In addition, of the 220 incidents that were referred to the FFA Mechanism, there are a few tens of incidents that have not been concluded. The IDF is working to complete the examination and investigation of all of the incidents as soon as possible.